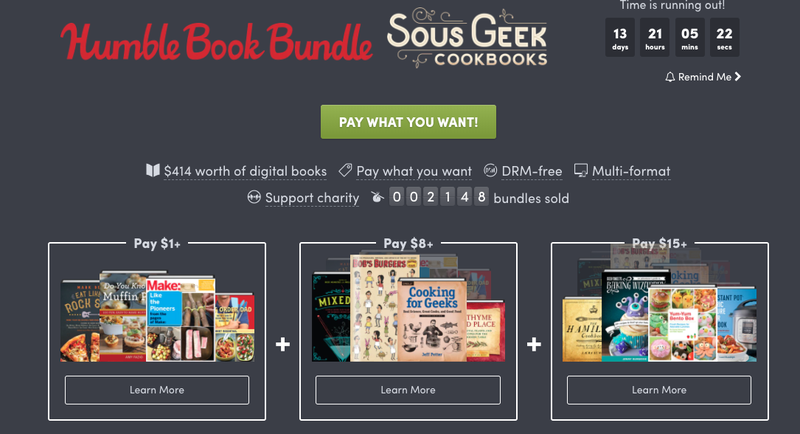 This newest Humble Bundle marries geek culture and cooking. What does that mean exactly? They’re including titles like The Astronaut’s Cookbook, The Wizard’s Cookbook, Make Edible Inventions, and more. Consider picking up a few of these cookbooks now, and make your geeky Valentine something extra special for dinner in a few weeks. As always, you can name your own price, but the titles are spread across three different price tiers.